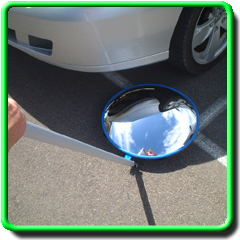 Fitted with four castor wheels and our unique and durable Aluminum Composite back, these mirrors are designed to give years of effective service. The lightweight aluminum handle extends from 1m up to 2m to give maximum under vehicle observation. The quality impact resistant face offers a great view under vehicles. 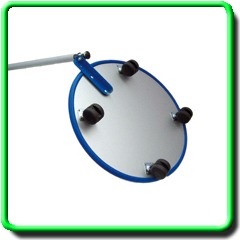 Also included is a nylon bag to protect the mirror and increases the life of the mirror.